Consult your physician prior to using this product if you are: under 18 years of age; nursing; trying to become pregnant; taking medication; or have a medical condition. KEEP OUT OF REACH OF CHILDREN. 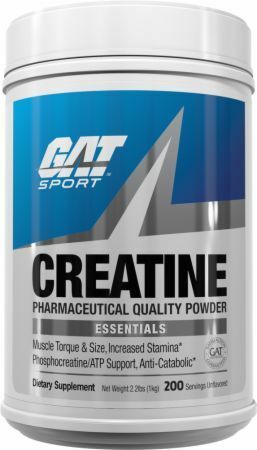 GAT Creatine Monohydrate is 100% Creatine. This product contains absolutely no carbohydrate, no fillers, no excipients, or any other added substances.